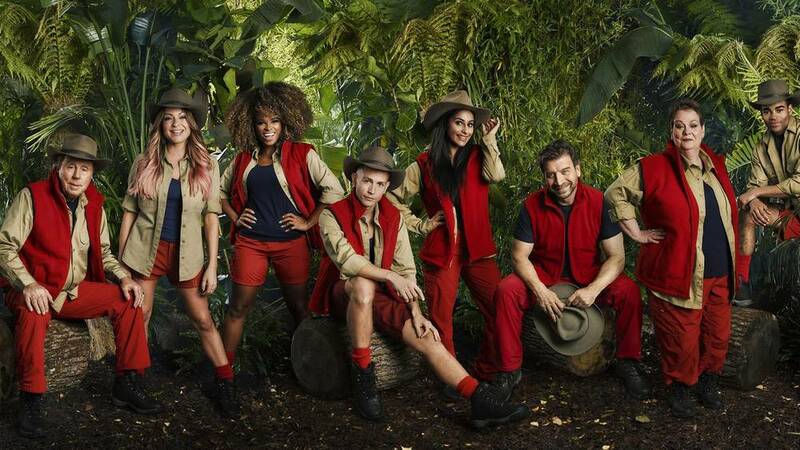 The line-up for this year’s I’m A Celebrity…Get Me Out of Here! has never been better, however, the stars they have managed to sign-up won’t come without a hefty price tag. However, we have to remember that these brave stars are sleeping amongst the critters and have to partake in some gut-wrenching trials that we wouldn’t even dare have a shot at, regardless of the paycheck. Unless you’re an avid Hollyoaks viewer, it’s unlikely you’ve ever heard of Malique before I’m A Celeb. The 20-year-old is expected to make his name whilst residing in the jungle over the next few weeks. Before appearing in Hollyoaks, he appeared in CBBC’s The Dumping Ground. However, the actor has his own fears about his jungle experience, in which he admitted that he is ‘claustrophobic’. He also claims himself to be a bit of a joker and added that if he found love in the jungle, it would be a real bonus. He is reportedly being paid just £15,000 for his stint. James McVey is the lead guitarist of the British rock band, The Vamps. The 24-year-old musician claimed that he is going to find it tough to be away from his model girlfriend, Kirstie Brittain who is has dated for two and a half years. The star is thought to be earning £40,000 for his time in the jungle. Coronation Street actress Sair Khan could be set to secure a fair sum if she manages to stick it out in the jungle. In 2014, the actress made her debut in the legendary ITV soap, playing the role of Alya Nazir. Sair claimed that she had been given good advice from fellow Corrie actress, Jennie McAlpine, who was a jungle campmate a few years back. “I just want to come to Australia again, because I love Australia and I’m glad to be back.” she told The Sun. “Jennie McAlpine told me to enjoy it fully and have the best time. Sair is thought to be raking in around £40,000. Emily Atack is best known for portraying the role of Charlotte Hinchcliffe in the hit comedy series The Inbetweeners, however, her stint in the jungle could see her career truly skyrocket. A little-known fact about Emily, is that Paul McCartney is her grandmother’s cousin. Emily is thought to be earning a sum of £40,000. X Factor finalist Fleur East has been out of the public eye for a few years, so fans are glad to see her back. The 31 year-old’s track ‘Sax’ reached number three in the UK chart back in 2015, but it seems she is now trying to give her career another boost. Fleur has reportedly racked up a fortune of £2 million from record sales, but is thought to be paid around £50-£70,000 for becoming a 2018 camp mate. Anne Hegerty, otherwise known as ‘The Governess’ on The Chase is certainly about to prove to the nation that she’s not the hard nut her character makes her out to be. A few days ago, bosses feared she may walk early, as she struggled to settle into her new surroundings. The quiz show star who was recently diagnosed with a form of autism claimed she had felt ‘overwhelmed’. If Anne lasts the duration of the series, she could be raking in an impressive £60-£80,000. Actress Rita Simons is best-known for playing the role of Roxy Mitchell in BBC soap, Eastenders. The 41-year-old is the niece of billionaire businessman, Lord Alan Sugar. She said that she hadn’t told her uncle she would be appearing in the show, but he will no doubt will be watching on a regular basis. Rita is thought to be earning a respectable £80,000- £100,000 whilst in the jungle. Musical theatre legend and Doctor Who actor John Barrowman is one of this year’s most recognised faces. Bosses have been struggling to sign him up for years, therefore, his paycheck won’t be too disappointing. The actor claimed he has a serious issue with confined spaces, so those type of trials may be a struggle for him. He said: “If they put me in a box like a coffin, I know I am going to have a problem”. John is thought to be earning between £120,-£200,000 for his jungle experience. Nick Knowles is best-known for hosting the BBC show, DIY SOS. Talking about the opportunity, he said: “I’d like to think I will do well under pressure but we will find out. I don’t have any phobias. Anything I have been nervous about in the past, I have gone out and done it, as I don’t like being frightened of things. I am used to physical things and I would sleep on a snooker table if I needed to so that (being in the Jungle) shouldn’t hold too many problems for me. Nick is thought to be paid a large £200,000 for becoming a campmate. Harry Redknapp is the star earning the biggest paycheck in this series and is a real legend in the eyes of football fans. The 71-year-old has managed seven football clubs and prior to that, was a midfielder for six different clubs during the 1960’s and 1970’s. Harry is thought to be securing at least £500,000 to take part in the show.